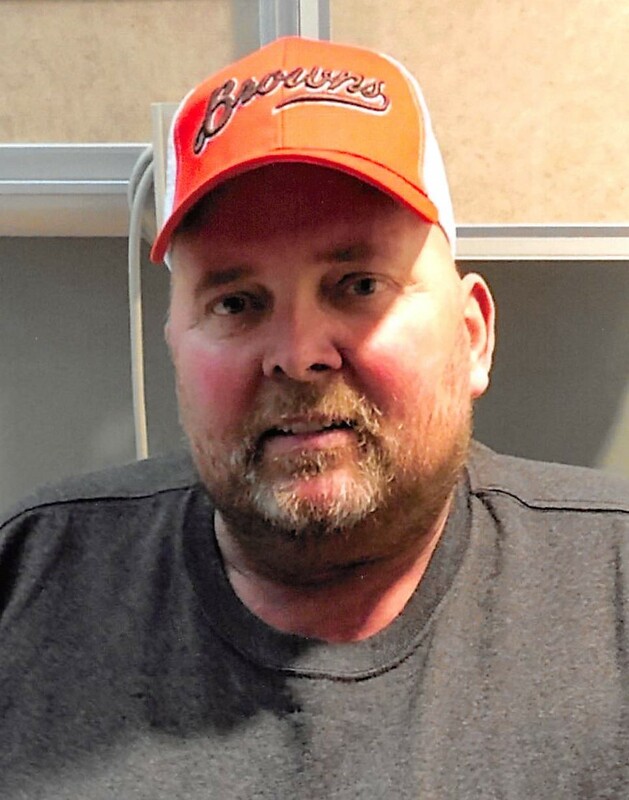 James V. Rieman, 57, of Crestline, passed away on Tuesday, April 9, 2019 at his son Cody's residence, after suffering from Glioblastoma for the last year and a half. Jim was born in Crestline on April 11, 1961 to the late Vincent M. and Helen E. (Niese) Rieman. He married Terri M. (Christini) Rieman on February 29, 1992 and she survives him. Jim attended St. Joseph Catholic Church in Crestline, and graduated from Crestline High School in the Class of 1980. He farmed with his family on the Rieman Farms. Jim enjoyed operating heavy equipment including excavators and back hoes. Jim enjoyed being outdoors including camping and snowmobiling. Jim loved his dogs. In addition to his wife, he is survived by his two sons, Cody Rieman and Seth Rieman, both of Crestline, his granddaughter, Letty Rieman, his two sisters, Marilyn and John Klopfenstein, Shelby, Ann and Paul Fry, Willard, and his four brothers, Bill and Karen Rieman, Crestline, Lawrence and Margaret Rieman, Crestline, Chuck Rieman and Teresa Coll, Crestline, and John Rieman and Julie MIller, Galion. James was preceded in death by an infant son. Friends may call on Friday, April 12, 2019 from 1-3 PM and 5-7 PM at the Schneider-Gompf Funeral Home, 223 West Main St., Crestline, where funeral services will be held at 7:00 PM with Deacon William Horning officiating. A celebration of Jim's life will be held on Saturday, April 20, 2019 at 3:00 PM at the Rieman Farms, 1989 North Horning Rd., Crestline. Memorial contributions may be made to Richland County Dog Warden in care of the funeral home. The Schneider-Gompf Funeral Home, 223 West Main St., Crestline, is honored to serve the Rieman family.